There are thousands of probes in the RIPE Atlas network. Probes are small, USB-powered hardware devices that hosts connect to an Ethernet port on their router. They perform active measurements, including ping, traceroute, DNS, SSL/TLS and NTP. The data they collect is aggregated and made publicly available. RIPE Atlas anchors are both enhanced RIPE Atlas probes with more measurement capacity, as well as regional measurement targets within the greater RIPE Atlas network. 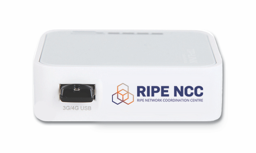 As such, RIPE Atlas anchors provide valuable information about the local and regional connectivity and reachability of the Internet.